Lhasa Railway Station, located in Niu New Area of Doilungdeqen District, is the largest station in Tibet. It is also the final destination of the famous Tibet Railway. Because Lhasa Railway Station is at altitude of 3600 meters it becomes one of highest railway stations in the world. It is about 8 kilometers (5 miles) away from Potala Palace, which will totally take visitors about 25-30 minutes by road. According to local experience, traveling by the public bus such as Bus No.1, No.13, No.14 and No.30 will cost you only one yuan to go to the Potala Palace. Lhasa Railway Train Travel Schedules shows there are five passenger trains stopping daily at Lhasa Railway Station. Currently, the next four trains are displayed by the departure indicator in both Chinese and Tibetan. The times and train numbers are in Latin alphanumeric characters. 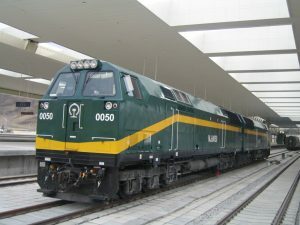 Including the direct Xining to Lhasa train, there are all the other trains to Lhasa via Xining railway station. In this case, if the tickets sold out in other popular stations like Beijing, Shanghai, Chengdu, you could get a ticket from Xining to Lhasa instead. The next is the schedules of all the trains to Lhasa via Xining.